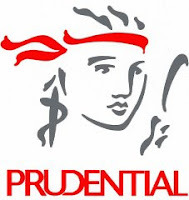 PT Prudential Life Assurance (Prudential Indonesia) is a subsidiary of Prudential plc, a leading international financial services group from the United Kingdom that has more than £309 billion (Rp. 4,198 trillion) of assets under management (as at 30 June 2010). Combining Prudential's global experience in life insurance for more than 160 years with knowledge of local customs and businesses, Prudential Indonesia is committed to develop its business in Indonesia. Underwrite standard applications according to company guidelines and service standard. Candidate must possess at least a Bachelor's Degree in Medical Doctor or equivalent. Preferably Senior Staffs specializing in Banking/Financial Services or equivalent. Job role in Underwriter (Insurance) or equivalent. Responsible for delivering prompt and accurate results in the areas of calculating the sum assured based on the annuity table. Responsible for preparing all documentations for facultative cases. Also responsible managing overall team member. Bachelor degree in Statistics/Mathematics/Computer Science with min. 1 year experience in New Business Underwriting in Life Insurance. *)Please indicate the preferred location.